“Wetaskiwin” means “plains of peace” in the language of the Plains Cree. In 2003, the peace-loving city of Wetaskiwin, Alberta, earned a figurative crown by winning the national championship in the Canada-wide Communities in Bloom (CIB) competition. Esthetically, this meant that Wetaskiwin’s citizens and visitors were treated to a summer of exceptional visual beauty and, because almost everyone in the community had contributed in some way to this achievement, civic pride was high. In practical terms, the city enjoyed an influx of visitors—some from as far away as Atlantic Canada—who wanted to spend time and money in this lovely, blooming community. Wetaskiwin was a competitor in CIB almost every year from 1998 to 2010. Gail Taylor, a former city alderman, was the local CIB chair for a number of years including the championship year, but she recently retired and relocated. Though the CIB chair remains vacant at this time, there is a likely candidate for the position and the City of Wetaskiwin is excited about re-entering the competition in 2013. Each year, the CIB committee focuses on one aspect or theme to enhance the city and puts its resources into developing that feature. 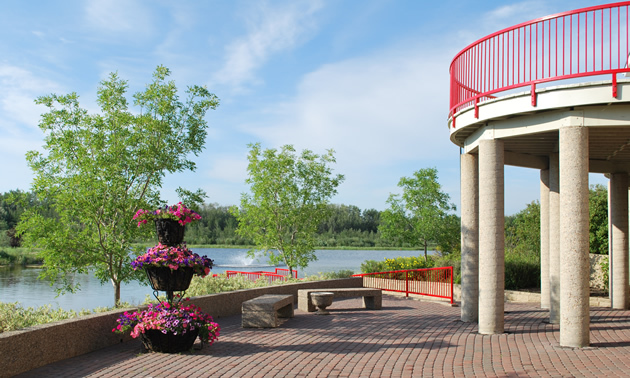 While the term “Communities in Bloom” elicits visions of cascading hanging baskets and colourful flower gardens, there are also many permanent fixtures in place in Wetaskiwin as a result of its participation in the competition. New and restored trails wind through the more than 20 parks and designated green spaces in Wetaskiwin. There are benches and at least one pretty gazebo from which to spend time enjoying the beautified parks. 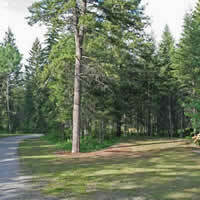 The lake at By-the-Lake Park is stocked with trout, and is a favourite place for families to catch-and-release fish. Diamond Jubilee Park now has a heritage perennial garden featuring native grains, grasses and other plants; and a very welcome toddler park—complete with playground equipment—was installed in an area where there are lots of young families. Local service clubs and organizations play a big part in the ongoing beautification project, raising funds and providing manpower. During the CIB competition, it’s not just the parks and green spaces that get the beauty treatment. It takes the co-operation of the city’s entire citizenship if they are to have any hope of winning. “We ask the businesses and homeowners to keep their yards and frontages looking as tidy and pretty as possible,” said Kellerman. And it’s not all give and no get. Participation and sponsorship have their rewards, both intangible and bankable. Kellerman offered a couple of suggestions for any community considering participation in the Communities in Bloom competition or other group project.